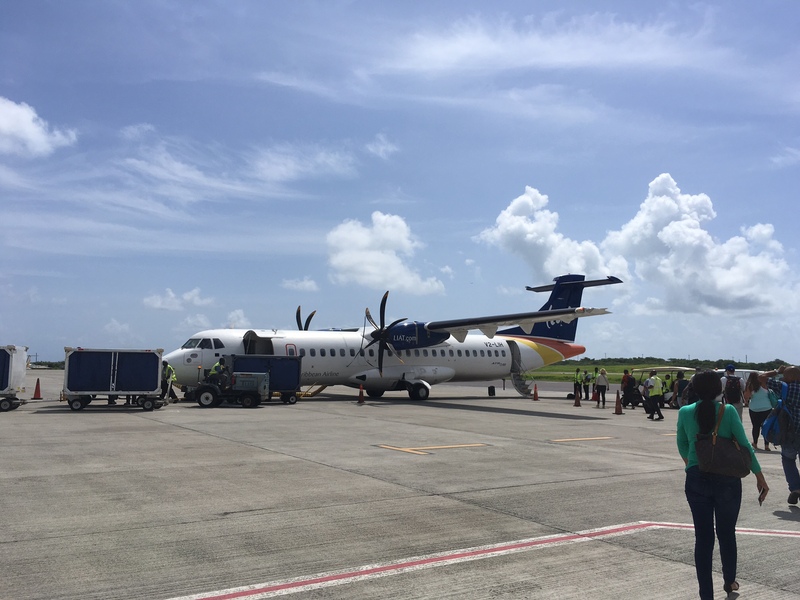 A few weeks ago I was lucky enough to head off to the Caribbean and to visit not just one but two stunning Sandals Resorts, staying at the worlds most romantic resort – Sandals Grande Antigua, before the short flight over to the NEW Sandals Barbados. Sandals Resorts are purely for couples, over the age of 18 years old. 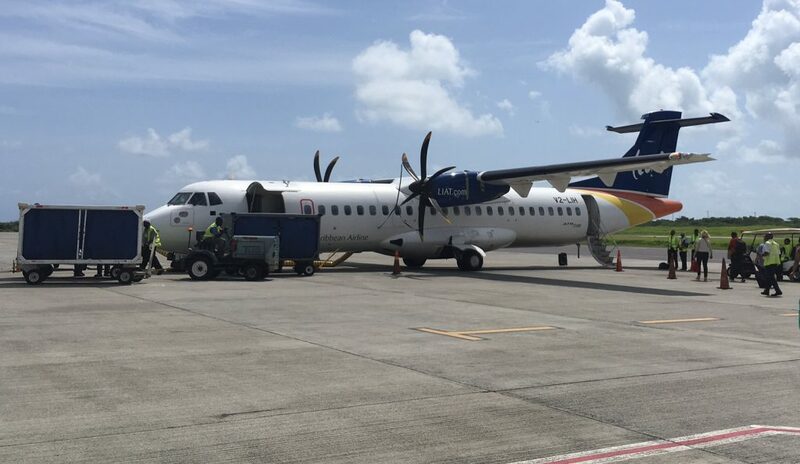 Island hopping is very easy in the Caribbean with the local Caribbean airline Liat being a little like buses for the locals for them getting from island to island for work or visiting family and friends. 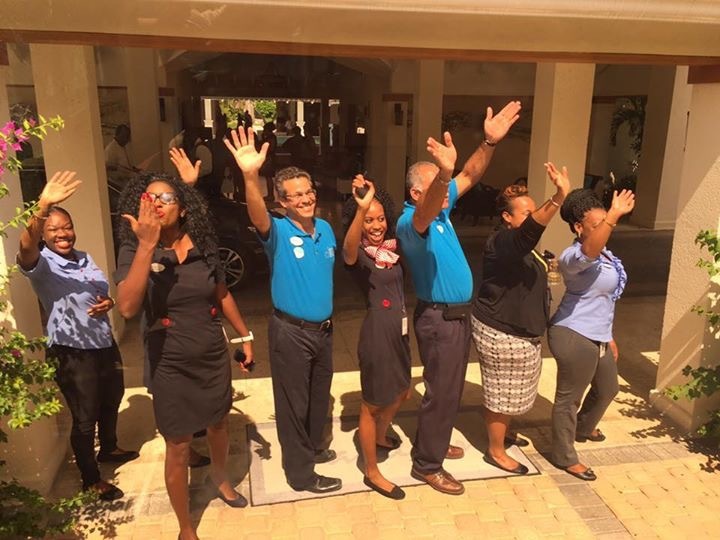 We boarded our flight from Antigua to sunny Barbados and just a 15 minute transfer away by colourful air-conditioned bus we arrived to a wonderful welcome at the Sandals Barbados. 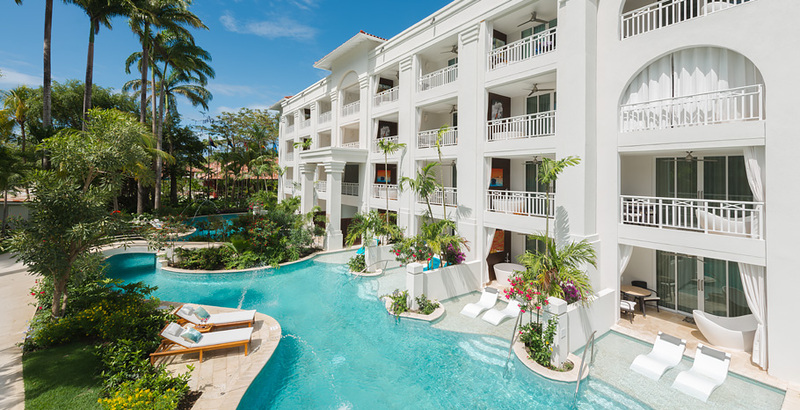 Sandals Barbados is the newest hotel in the Sandals portfolio, situated in the St Lawrence Gap area, it is the only Adult Only All Inclusive resort on the island. Like all of the Sandals Resorts, Sandals Barbados offers its guest fantastic all-inclusive all of the time; all of the food, drinks and facilities are of the highest level, the bars with their premium brand spirits such as Bombay Sapphire, Appleton Rum and Smirnoff Vodka and as for dining well you can indulge in wagu steak, lobster and sushi at no extra cost, all included… and so much more! During the day the hardest decision you have to make is pool or beach!! The sea at Sandals Barbados has some of the most vivid blue tones I have ever seen and we took the opportunity to try our hand at some of the complimentary water sports in the form of some SUP, Stand Up Paddle Boarding with some tuition from the watersports team, whilst some of the group ventured off snorkelling on the glass bottom boat. The main pool is just steps from the beach with a swim-up bar right in the middle, there are plenty of comfortable sun beds around the pool and on the beach, with some under the trees if you fancy some shade. 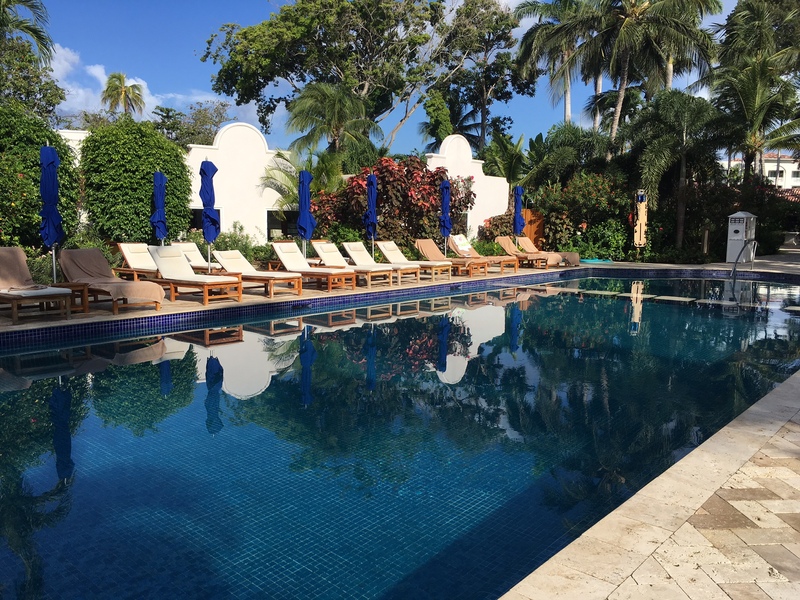 The quiet pool is in the middle of the resort with lovely private cabanas compete with their own chandelier, squishy sunbeds and lush chaise longe, or enjoy the Crystal Lagoon with its zero entry access to Barbados’ largest and lazy river – perfect for soaking up some of the hot Caribbean sun. 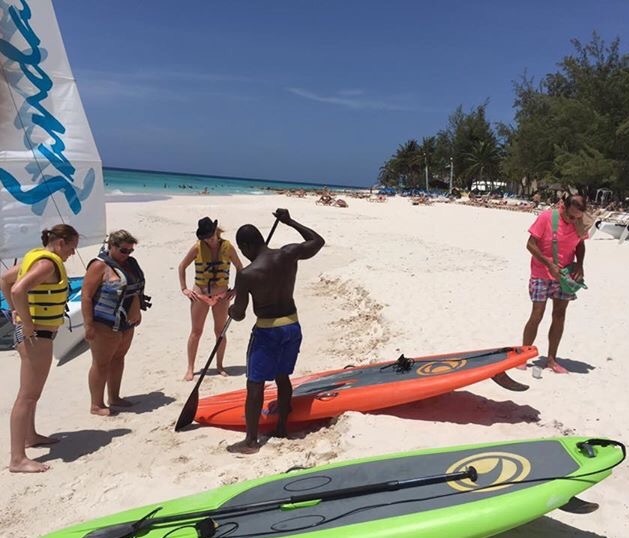 Deciding which room to book can be very confusing after all Sandals are renowned for their rather long room types however there are many different rooms to fit all tastes and budgets. 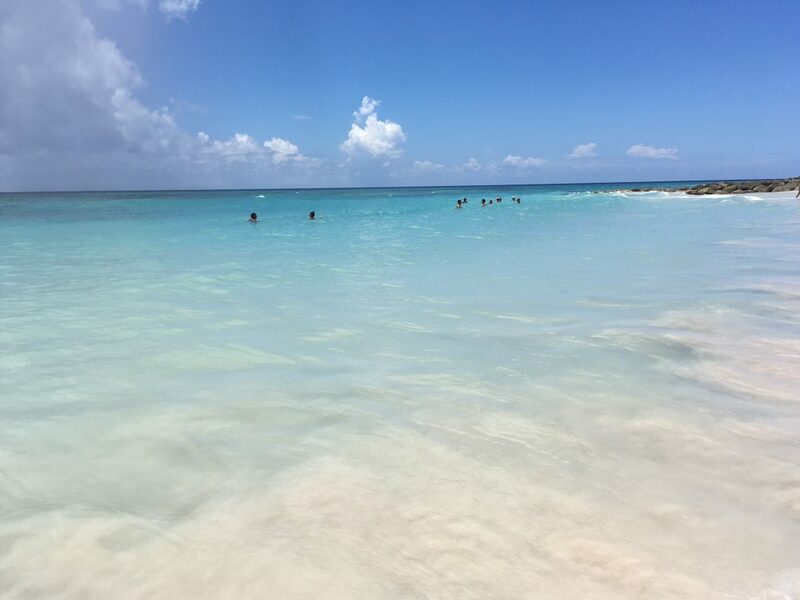 Let me simplify it a bit for you, there are only three room types, Luxury, Club and Butler, then it just comes down to their configuration and their location – Sandals Barbados is split over three stunning villages with 280 rooms and suites, but don’t worry if you are confused I can help you. 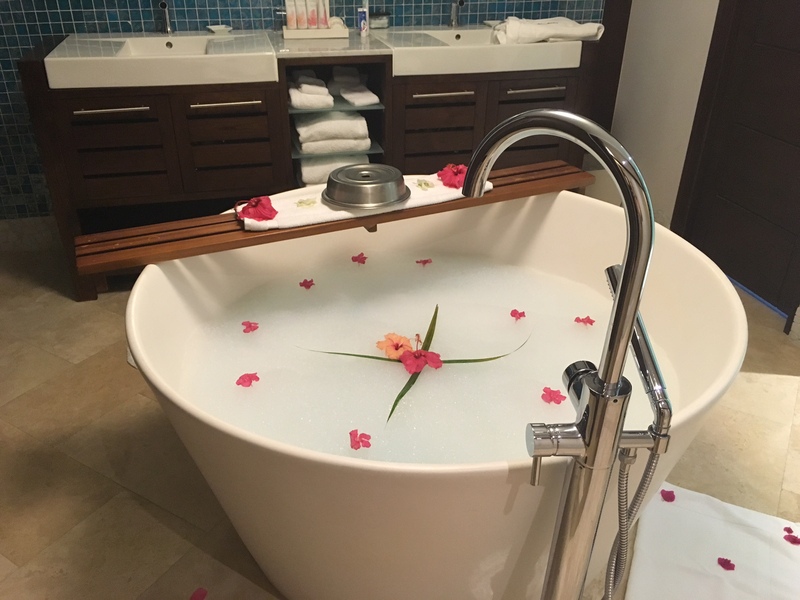 I personally loved the beautiful Crystal Lagoon Village which is situated at the rear of the resort and was so peaceful and relaxing and they all have a lovely tranquillity soaking tub for two on the balcony or terrace. 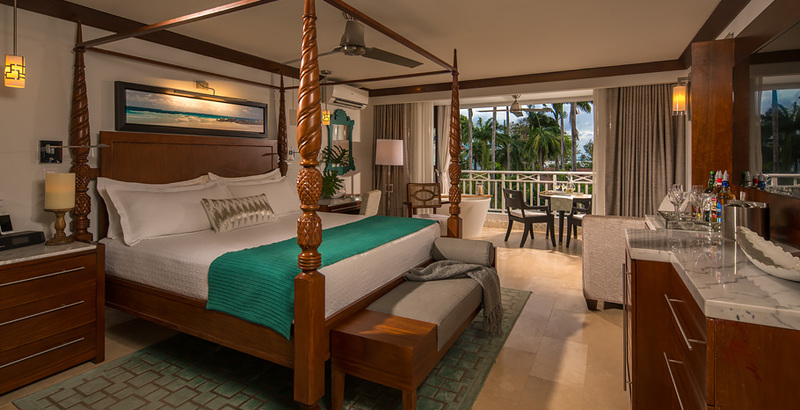 The ground floor rooms are swim-up rooms with direct access to the resorts lagoon pool. All of the suites feature a romantic four-poster, king-size bed, flat screen TV and being a Club room you have 24 hour room service, a full in-room bar that is replenished daily with premium spirits and wine, VIP check-in Club lounge and concierge service. Having a Butler is wonderful luxury, they help with all your dinner reservations, reserve sunbeds for you and even bring you an ice-box of cold drinks including the local Banks beer to where you are for the day, they can also arrange wonderful surprises for you like coming back to your room to find a luxury bath run for you. At Sandals Barbados there are 11 unique dining options and we again tried as many as possible in our 2 days, we first of all dined at The Mariner, a seaside bar & grill which serves Caribbean and traditional delights such as homemade burgers and fries, jerk chicken and grilled fish. That evening we after a couple of G&T’s in the East meets West Bar we headed to Bombay Club the first Indian Restaurant at Sandals and where the the sense of being in Bombay hits you from the colourful silks on the tables to the delicious aromas of Indian spices such as cardamon, ginger, saffron and nutmeg fill the air. 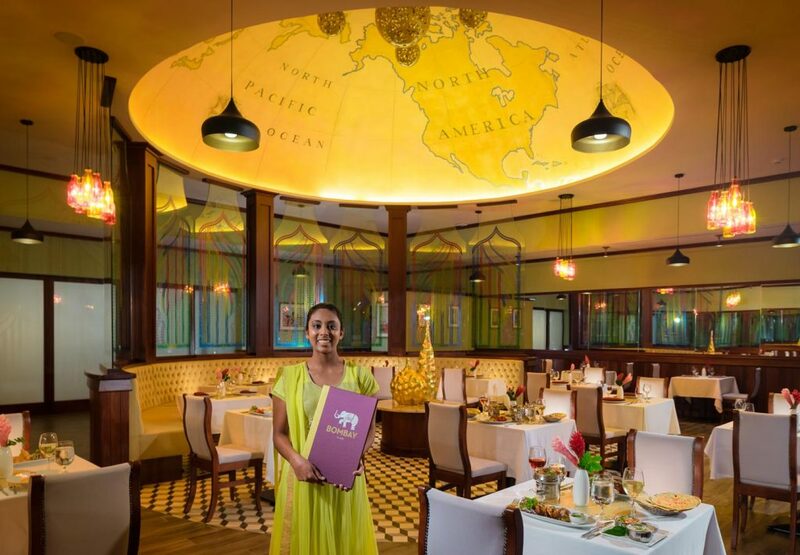 We enjoyed a mouthwatering array of dishes including Indian lamb chops, butter chicken and lobster butter masala to name just a few. Soy Suchi Bar offers some of the best sushi creations made to order i have ever had, we went in before going to Kimonos for dinner and you have to try their signature cocktail which is laced with saki. 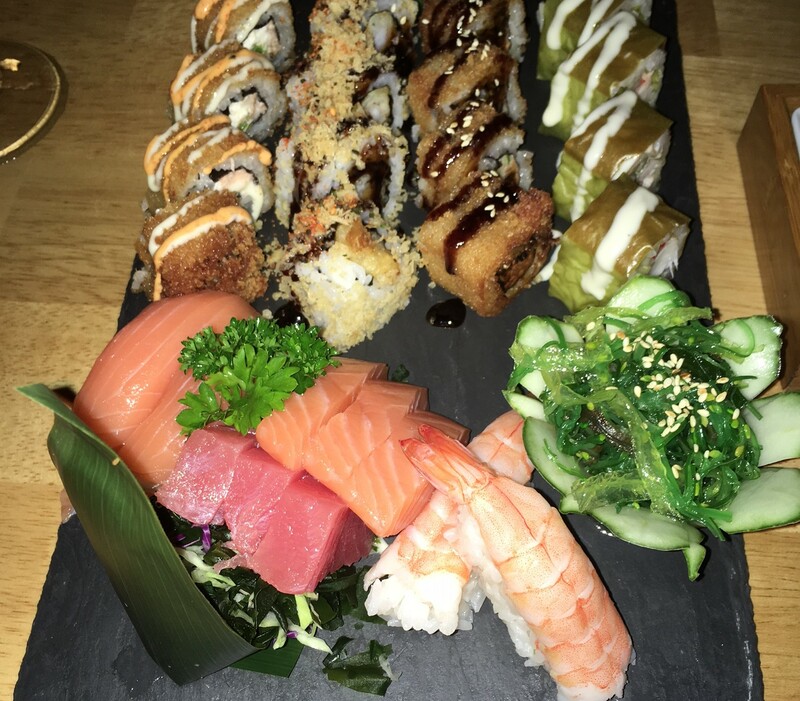 Kimonos, is a vibrant Japanese restaurant that serves up cuisine in a most captivating way and with chefs who entertain you with cookery tricks right before your eyes. 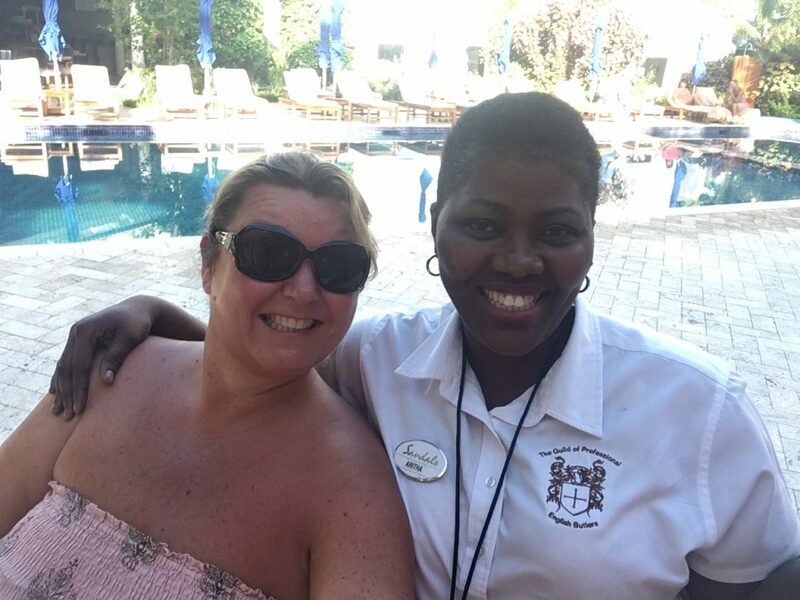 We also enjoyed a delicious hot dog from Doggies Hot Dog Stand which is situated by the main pool, is great for a snack when you just don’t want to drag yourself away from the pool, although you may not stop at one as they are so delicious. 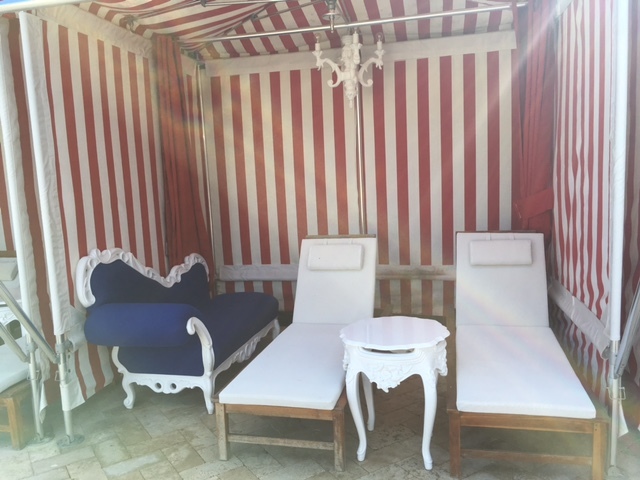 I’m sure you will also become a regular at Cafe De Paris for their delicious coffees, cookies, ice-cream and cake…. some of the group visited more than once a day!!! 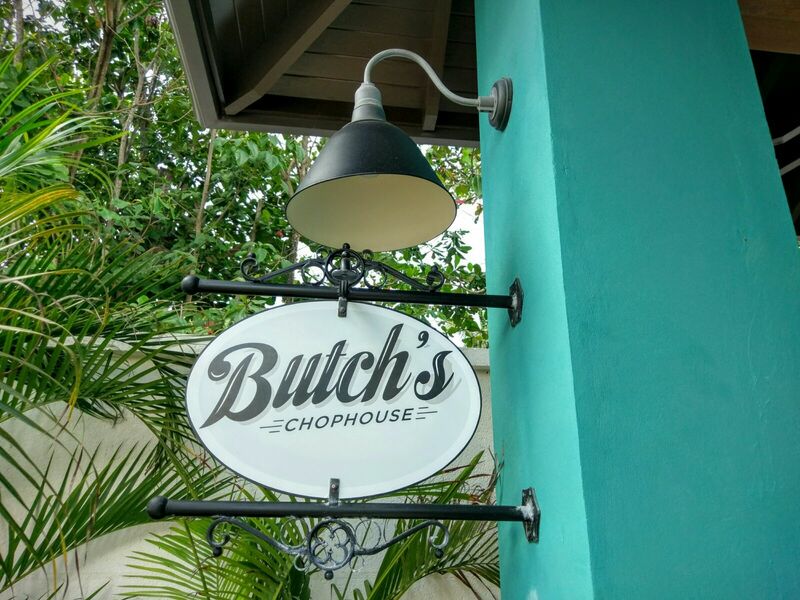 If I was there longer I would have loved to dine at Butch’s Chophouse, a New York style steakhouse, but I have to leave something for my return! 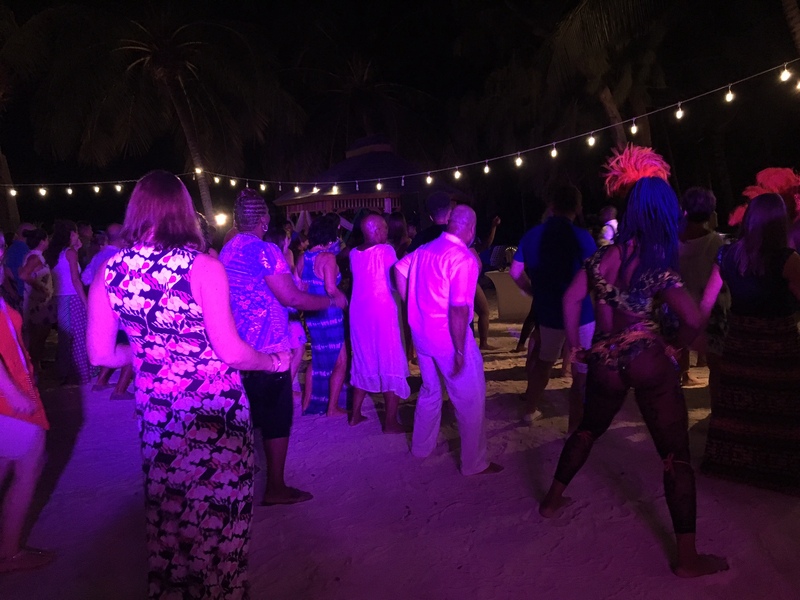 T here is always something going on at Sandals Barbados, the first night we were dancing with our feet in the sand to Caribbean rhythms and moves you didn’t know your body could make at the Caribbean night, whilst the 2nd might we enjoyed a Reggae Night before heading to the Oyster Shell Bar, where you can continue the party with some karaoke and singing around the piano. And with 7 bars/cocktail lounges including the swim up bar to tempt you with a delicious cocktail at any time of the day, try the Purple Rain or the BBC’s. We spent most of our time at the swim-up-pool bar during the day and the Merry Monkey Pub in the evening. 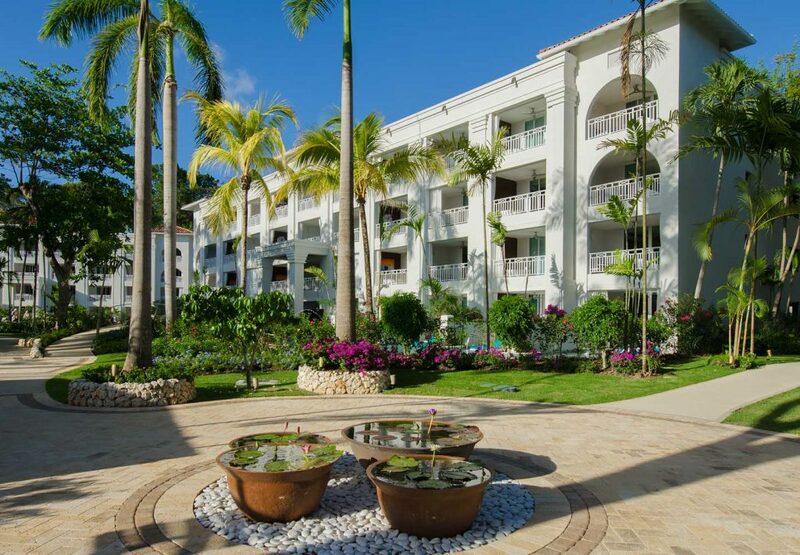 280 rooms and suites with fantastic Beach & Garden views & Lagoon Swim-up suites. The first Indian restaurant in the group’s portfolio of 5 Star Global Gourmet® options.